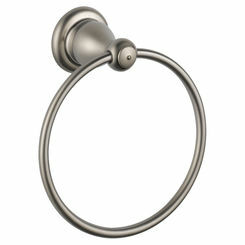 The Kohler K-45426-BN is a Brushed Nickel O2 Flipside Handshower from the Flipside Collection that will bring out the elegance to your bathroom décor. 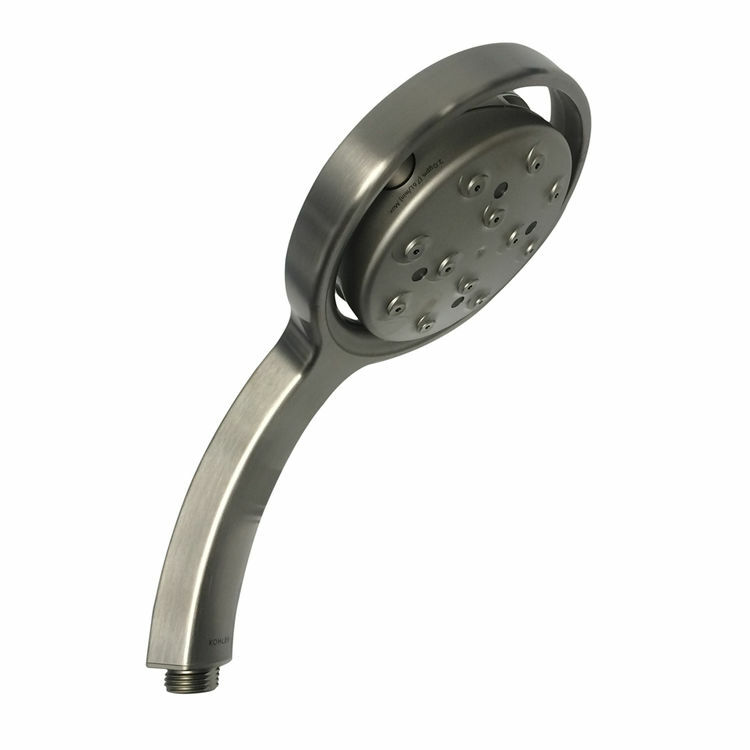 This Handshower is constructed out of Premium Material that is enhanced with a beautiful Brushed Nickel finish that will not corrode, rust, or tarnish through rigorous use. The Flow output of this Showerhead is set at 2.0 GPM. This Multi function handshower has 4 spray settings, these settings are: Koverage spray, Kotton spray, Kurrent spray and Komotion spray. These unique spray setting are activated by flipping the sprayhead on its axis in order to deliver the desired setting. 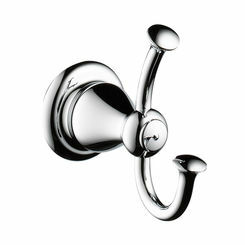 This handshower brings a fun and easy showering system that gives you a unique and indulgent showering experience. Upon installation it required to buy one of the following shower hoses: K-8593 or K-9514, also a bracket or slidebar must also be in place for this handshower to operate correctly. 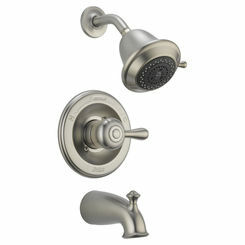 Shipping Dimensions 12.4" x 5.0" x 4.3"
Dimensions: H 10-1/2", W 5-3/8"
WaterSense-labeled 2.0-gpm handshowers use up to 20 percent less water than standard 2.5-gpm handshowers while still meeting strict performance guidelines.